HomeHaven, Inc. is a nonprofit corporation in Connecticut operating with a 501(c)3 exemption from the Internal Revenue Service. and Task Forces, and with a small part-time staff and a number of volunteers. Fred O’Brien is a 27-year resident of Orange; he and his wife, Kate, were early members of Amity Village. Fred has been a practicing attorney in criminal and civil courts since 1990. Originally from upstateNew York, he is a graduate of the University of California at Berkeley and UConn Law School. He has over 40 jury verdicts and has defended individuals, corporations, municipalities, and those accused of crimes in thousands of cases. He spent his youthful years as a rock and roll musician. Bill Brainard is an Emeritus Professor of Economics at Yale. He continues to be active in the Economics Department, attending seminars and on occasion serving as an advisor on graduate student research. He chairs our Finance committee. He has a consuming interest in the "Cooking in Different Languages" group. Patty has a background in academic administration and an inherited love of antiques. She is co-leader of the Hamden Village and an occasional contributor to the HomeHaven Newsletter. She has been surprised and delighted by the life-enhancing richness afforded by membership in HomeHaven. Joseph Dolan lives in New Haven and holds degrees in philosophy, urban studies, and accounting. 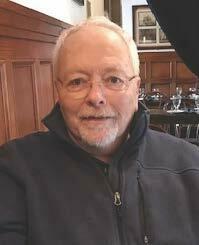 He served for many years in the City of New Haven's controller's office and from 1990 to 2009 as the chief financial officer of the Town of Wilton. He joined HomeHaven in 2012 and has served on the Finance committee since then. Peggy is new to New Haven, having moved here in 2009 from Stamford, CT. She was active in residential real estate in Westchester and Fairfield counties for 25 years. 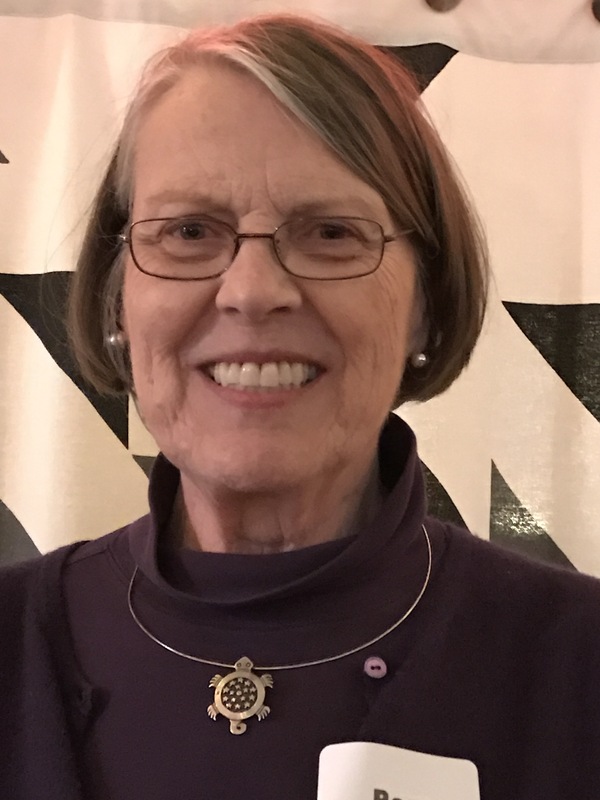 She is currently a member of HomeHaven's Visitors and Fund Development committees, and is in the parish choir and on the altar guild of Trinity Episcopal Church. She is also the membership chair of the Yale University Women’s Organization. Originally from New Jersey, Cecilia attended the University of Iowa and earned a JD degree at the University of Bridgeport (now Quinnipiac). She has been involved with administration within the corporate arena and the Federal Government. Cecilia is co-leader of the Westville Village and has served on the Activities committee since joining HomeHaven in 2011. Renee relocated to CT from NJ where she had been the Executive Director of an agency that alleviated homelessness by creating shared affordable housing arrangements. A master's level social worker with training in group work and community development, she also holds a certificate in not-for-profit management from the Graduate School of Business at Columbia University. She is a member of the Jewish Community Alliance for Refugee Resettlement and serves on HomeHaven's Activities committee. Frank was last gainfully employed as a Gift Planning Officer for the American Red Cross, a post he arrived at by a somewhat circuitous route. After earning a B.A. from Yale and a law degree from Stanford, he sojourned with the U.S. Army in California and Vietnam before entering private law practice in Connecticut. He moved on to the banking industry, where he served as General Counsel for two Connecticut regional banks that eventually succumbed to industry consolidation. This spurred Frank to return to his estate planning roots by entering the development field as a planned giving specialist, serving in positions with Trinity College in Hartford and Yale-New Haven Hospital before ending up with the Red Cross. Having always preferred singing to working or studying, he continues his vocal exploits with whomever will have him – currently The Fairfield County Chorale, The Yale Alumni Chorus, and, of course, the HomeHaven Mud Follies. Jane is a founding member of East Rock Village, the predecessor organization to HomeHaven. Since 2008 she has served alternatively as president, vice president and secretary of the board, as well as Governance committee chair. She chaired the recent search for our new executive director. 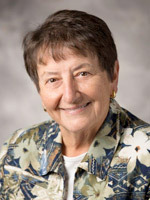 She is an editor for the HomeHaven newsletter and writes occasional profiles of our members called “HomeHaven Helps!” Jane has served on the Connecticut Legislative task force on Aging in Place, and is a member of the board of Whitney Center, where she serves as secretary to the board. She is a former Dean of Davenport College at Yale, and former President of Evergreen College in Olympia, WA. Kaye is active in the Hamden Village and a member of the Visitors and Recruitment Committees. After living and teaching for two decades in Turkey and Texas, she coordinated ESL programs for New Haven Public Schools, taught ESL, and has written several textbooks for new speakers of English. She is on the Board of the International Association of New Haven and sings with the Greater New Haven Community Chorus. Sheilah enjoyed a long career in fiduciary administration for individual and not for profit organizations. She is now happily retired leading a rich and varied life, including the arts. She has been actively involved with East Rock Village and HomeHaven since their inception, and is now in her second term on the Board, and serves on the Finance committee. Pam has lived in New Haven for 50 years and still has the same landline phone number! She has an EdD from Boston University and has enjoyed a 37-year career as an educator. Pam is currently a co-facilitator of a FamilyRead educational program through the YNHH HOPE program at St. Raphael's and serves on the Parenting Support Program advisory board there. She is also a member of the Mary Wade Home Board of Trustees. Pam chairs HomeHaven’s Governance committee and is active in the Amity and Westville Villages. Lauri Lowell graduated from Clark University in Worcester, Massachusetts. She has a JD Degree from Rutgers Law School and a Master’s Degree in Social Work from New York University. A native of New York, Lauri has lived in Hamden for over 20 years. She has worked as Director of the Jewish Community Relations Council, the community relations department of the Jewish Federation of Greater New Haven. She has used her social work and life-coaching skills as a geriatric care manager. Lauri has two children – her older son, a comedy writer and performer, lives in Chicago, and her younger son is a student at Drexel University in Philadelphia.